Smart Energy GB's press and outdoor campaign encourages people to reappraise smart meters by putting them in context of other technological advances throughout history. 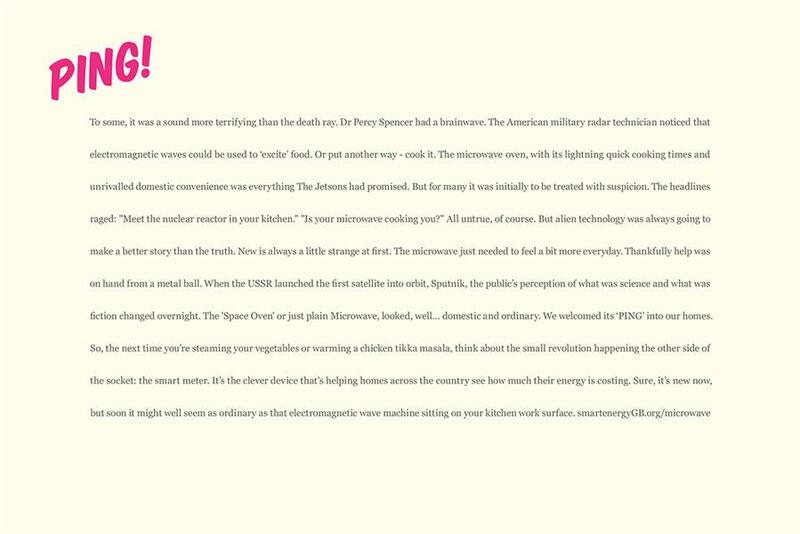 Each ad tells the story of an ordinary household appliance – the kettle, microwave and TV – raising the question of whether smart meters will soon become as commonplace and unremarkable as those objects. The styles of the copy and art direction were chosen to evoke the era of each technological development. The ads were written by Clark Edwards and Andre Hull and art directed by Nadja Lossgott.